DYLAN JONES is the multi-award-winning editor of British GQ magazine. He has been an editor at i-D, The Face, Arena, the Observer, and the Sunday Times. He is a Trustee of the Hay Festival, a board member of the Norman Mailer Center, and was awarded an OBE in 2013 for services to publishing. 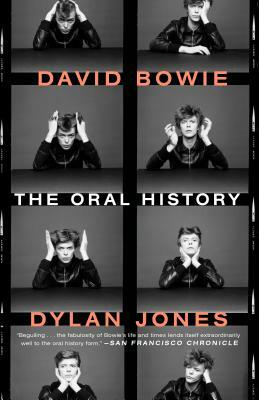 “Beguiling… the fabulosity of Bowie’s life and times lends itself extraordinarily well to the oral history form."